What is the Service Learning Program at OLP? 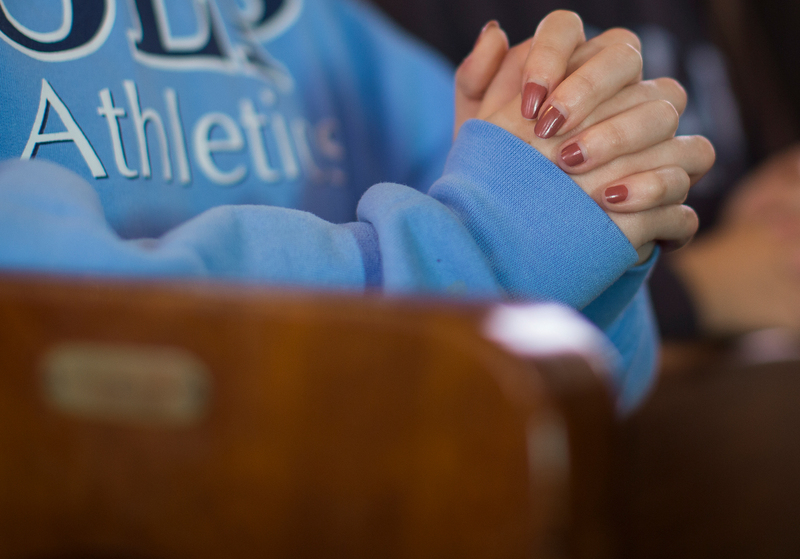 Through the OLP Service Learning requirement, students are provided an opportunity through which they can develop their God-given talents in service to others. Potentially, the Service Learning Program allows the student to experience Christianity in a dynamic way by actively participating in a wide variety of service opportunities to their community and those in service to the Dear Neighbor. All “Community Service” is a good thing, and we encourage our students to always be active in giving back to their neighbors. But Service Learning on the other hand is actively and conscientiously embracing the call of the Gospels and the CSJ charism by helping those in society who are in the margins – service to the needy, poor and disadvantaged in a direct, personal helping way. How many service hours must be completed each year? Students are required to complete 85 hours of service. During the Freshmen, Sophomore and Junior years, each student must complete 25 hours (20 of those hours must be direct, while 5 hours can be indirect). Seniors are required to complete 10 hours of service during their first semester. Transfer students hours will be adjusted according to the academic year they enter OLP. Theological Reflection is a process for students to verbally reflect on the impact Service Learning has had on their faith and personal growth. Theological Reflection will take place during 2nd semester with 10 students and 1 faculty facilitator. Where do I go to complete service hours? Service hours are to be completed at a non-profit organization/agency. Private residences or businesses do not qualify. An exception to this would be hospitals and nursing homes. Refer List of Agencies on the website. Current opportunities for service will also be posted on the OLP website as they become available. What do I do if I am unable to complete my hours due to personal hardships? Talk to the Director of Service Learning. Depending on the circumstances, extra time may be given. Is babysitting or tutoring accepted as hours in the Christian Service Program? Not on a personal basis or when assisting in a private home or business for profit. Babysitting hours are accepted from a day-care setting at a licensed non-profit facility, church or after-school program. Tutoring must be done under the supervision of the child’s teacher, through the school, or other adult supervision. When do I complete Christian service hours? Hours may be accumulated only as early as the summer before the freshman year. Proper documentation is required. Hours must be completed after school, on weekends, holidays or during the summer. Transportation to and from a service site is the responsibility of the student and/or parent and does not count toward the number of hours. If you serve on an overseas mission trip, you may not count hours sleeping as part of your total. What if I fail to complete my hours? Service Learning is reported on the report card as pass/fail. If you do not complete your hours, you would your receive a failing grade. You also will not receive your year book.